Kick off your visit on the 19th (Sun): tour the pleasant surroundings at Faliraki Beach. 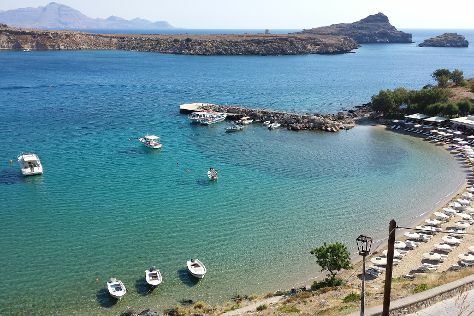 Keep things going the next day: enjoy the sand and surf at Agathi Beach, then steep yourself in history at Ancient Kamiros, and then enjoy the sand and surf at Lindos beach. To see reviews, photos, where to stay, and other tourist information, read Lindos travel guide. Expect a daytime high around 32°C in June, and nighttime lows around 25°C.